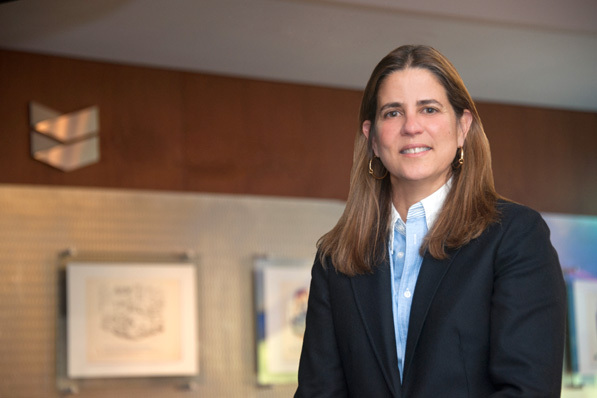 When Silvia Garrigo joined Chevron in 2002 as senior counsel, she thought she’d be overseeing the company’s global downstream operations in Latin America and the Caribbean. What she didn’t realize was that she would be managing a complicated lawsuit that was pending in Ecuador, deep in the heart of the Amazonian jungle. “Being adventurous in spirit and loving the outdoors, I jumped on that opportunity and jokingly told my boss to drop me off in the middle of the jungle in a helicopter,” Garrigo says. She spent years traveling back and forth to Ecuador, representing Chevron and becoming familiar with the native communities around Texaco’s former oil operations, while judges and scientific experts assessed the credibility of the claims being made. During the course of the case, Garrigo crossed over into public relations and stakeholder engagement, essentially becoming a company spokesperson on the matter in both Ecuador and the United States. “One day I was in the Amazonian jungle managing a substantial environmental litigation, and the next I was in the public arena advocating our position on CNN, BBC, and 60 Minutes,” Garrigo says. Ultimately, that experience brought about a profound change of direction in Garrigo’s career. As a result of her work in Ecuador, she was asked to join Chevron’s policy, government, and public affairs function, leading corporate responsibility efforts within the company. “Looking back, that was the work that really connected to who I am as a person because I feel so strongly that business can be a force for good,” she says. Garrigo believes the solutions to the world’s most complex problems require collaboration between international businesses, governments, and civil societies to create stable investment environments and prosperous societies. One such solution is leading the team that develops and implements Chevron’s enterprise-wide human rights policy, which focuses on four issues: evaluating how the company’s operations may impact the community, ensuring that the company’s security providers follow international principles when protecting people and assets, engaging key suppliers on issues related to human rights, and treating employees fairly. In 2013, Garrigo answered a call from the company’s leadership, who wanted Chevron to have year-round engagement with members of the investment community. Garrigo’s role as manager of shareholder engagement focuses on investor relations as well as environmental, social, and governance (ESG) issues. One challenge Garrigo faces in this role is having to understanding the complex issues trending in the investment community and the range of shareholder interests. Although those issues generally involve how Chevron’s board oversees the complex and diverse risks an energy company faces, they vary between types of shareholders. Activist shareholders, for example, take an equity stake in the company to drive social or environmental policy change and put public pressure on its management through shareholder proposals raised during annual shareholder meetings. “I also manage engagements with mainstream, long-term shareholders who raise issues such as shareholder access to the board, policies and management systems designed to manage risks, climate change, and shale energy operations,” Garrigo says. Diversity matters to shareholders, too—not just diversity of gender and race, but also of expertise. Many companies today find themselves challenged to develop the right human capital to ensure that they have a capable workforces to meet future challenges. Shareholders have an interest in what Chevron is doing to find and educate its future leaders and prepare succession plans. Garrigo’s job is to listen to those shareholders, understand their concerns, and respond by helping them understand how a company like Chevron manages ESG issues in the best interests of all shareholders. According to Garrigo, it can be difficult to understand what’s involved in addressing such problems when looking into the company from the outside. Garrigo must demonstrate to shareholders that Chevron operates in a responsible manner while providing information relevant to their investment decisions. “An important part of my job is to get activist shareholders to understand that we are addressing ESG issues within the legitimate boundaries of our role in the private sector, and that issues such as climate change and human rights require multistakeholder collaboration. They cannot be resolved with the flick of a switch, nor can they be resolved by Chevron alone,” she explains, noting that Chevron is committed to its share of responsibility in sorting out these issues.